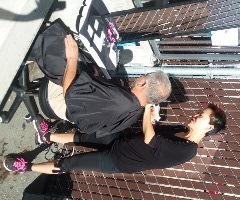 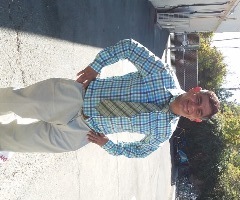 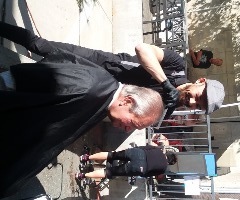 Two wonderful stylists with Sidewalk Salon recently provided free hair cuts to Trinity Center members. 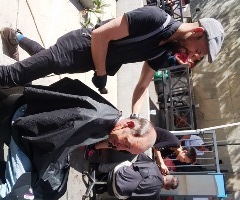 They worked out in the sun with no complaints for two hours and cut 15 people’s hair! 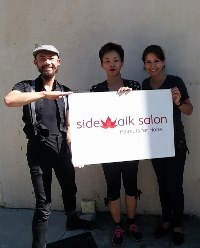 Yumiko Naddy is the Director of Programs and Volunteer Services at Sidewalk Salon. 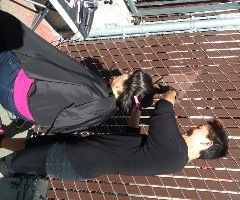 Visit their website or find them on Facebook.